Two Broadway favorites are going home for the holidays on the small screen. 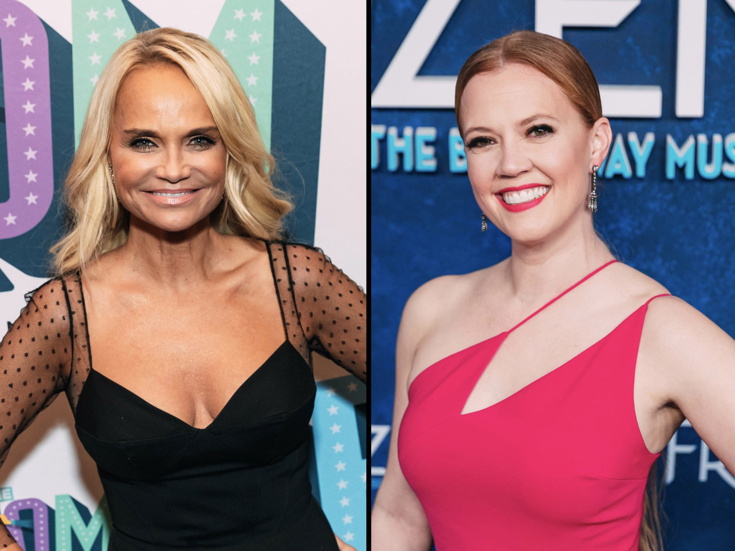 Kristin Chenoweth and Patti Murin have been recruited to appear in a duo of upcoming holiday films for the Hallmark Channel. Tony winner Chenoweth (On the Twentieth Century) will appear in The Christmas Song as a youth choir director who needs to craft a big number for the school's holiday concert. Murin (Frozen) will be featured in Holiday for Heroes, which centers on a woman and a soldier who exchange letters for years and eventually meet. Both films will premiere in November. Broadway alums Jacob ben Widmar (Xanadu) and Steffanie Leigh (War Paint) have announced Broadway's High School Throwback, a new concert featuring stage stars looking back on the roles they played in high school. The event will be held at NYC's Green Room 42 on February 25 at 9:30pm. Stars set to join ben Widmar and Leigh onstage include Tony nominee Grey Henson (Mean Girls), Bonnie Milligan (Head Over Heels), Ellyn Marie Marsh (Pretty Woman), Hayley Podschun (The Music Man), Jelani Remy (Ain't Too Proud), Cody Jamison Strand (The Book of Mormon) and Alysha Umphress (Smokey Joe's Cafe). Trevor Pierce will music-direct. Barrington Stage Company has announced a final slate of shows serving as the remainder of its highly anticipated 2019 summer season, the 25th for the Pittsfield, Massachusetts theater. Newly announced productions include Jeanne Sakata's Hold These Truths (May 22-June 8), Stacey Rose's world premiere play America v. 2.1 (June 14-30), David Ives' Time Flies and Other Comedies (July 5-27), Steven Levenson's If I Forget (August 1-31) and Brent Askari's world premiere American Underground (October 2-20). BSC's 2019 Youth Theatre production will be Sam LaFrage and Lewis Flinn's world premiere Hansel and Gretel musical (July 25-August 10). The new additions join the previously announced Into the Woods (June 19-July 13), Fall Springs (August 9-31) and Gertrude and Claudius (July 18-August 3). For more information about the season, click here. Is there nothing James Monroe Iglehart can't do? The Tony-winning original Genie of Aladdin, currently stopping the show nightly as Marquis de Lafayette/Thomas Jefferson in Hamilton, has landed a sweet side gig for Marvel. Iglehart will begin writing Spider-Man comic books for the publisher, reports Bleeding Cool News, with an initial story coming out in Marvel Comics Presents #3 at the end of March. Ray-Anthony Height will illustrate.